Sue Palmer is an author, literacy specialist and Chair of Upstart Scotland. Her book, ‘Upstart: the case for raising the school starting age and providing what the under-sevens really need’ is published by Floris Books. There’s a mental health crisis among Scotland’s children and young people. Stress, anxiety, depression, self-harm, eating disorders… Specialist mental health services can’t cope with the number of referrals, so schools and GP surgeries are introducing counselling services to try and stem the tide. But with research showing Scottish teenagers among the unhappiest in Europe, and around two-thirds of ten-year-olds saying they ‘worry all the time’, this tide won’t be easy to stem. What’s going on? Is it just exam stress, social media fatigue, worries about the future, anxiety about the state of the world? Upstart Scotland – an educational campaign launched last year – argues that young people’s distress has deeper roots, based in our country’s lack of attention to basic principles of child development. Upstart’s concern centres on a hugely significant change in children’s lifestyles over recent decades – the steady disappearance of traditional play. Instead of running, climbing, exploring, making dens and mixtures, inventing games and ‘let’s pretending’ with their pals, 21st century children spend increasing amounts of their leisure time on indoor, screen-based activities … and from an ever earlier age. 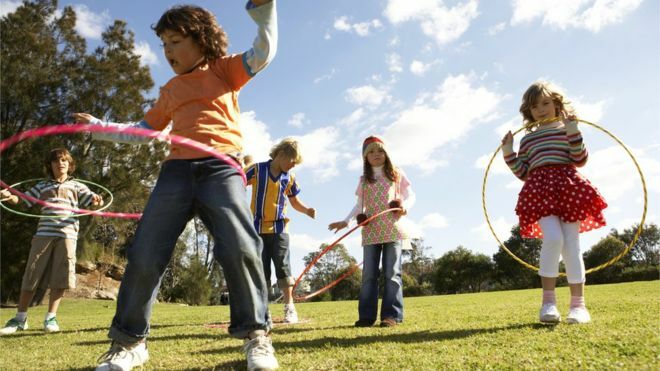 Scottish children are now among the least active in the world, with fewer than ten per cent of four-year-olds achieving the recommended level of activity. This sedentary lifestyle has obvious implications for physical health but – especially in early childhood when they’re establishing lifelong habits of behaviour and predispositions – lack of active play can also have damaging consequences for mental health. According to evolutionary biologists, traditional play (outdoors, active, social, loosely supervised and not requiring any particular equipment) is a biological must-have. Throughout human history, in all times and cultures until our own, it’s been the activity through which children develop a wide range of natural capacities, including social and communication skills, self-regulation and emotional resilience. All of these are essential elements of long-term mental health and well-being. The change in children’s habits of play is compounded by Scotland’s extraordinarily early school starting age. Only 12% of countries worldwide send children to school at four or five years of age – and almost all are ex-members of the British empire! 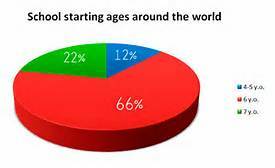 Most nations begin school at six, while 22% wait till children are seven. The majority of European children therefore spend three or four years in kindergartens, where the emphasis is on social and emotional development and learning through play, before beginning formal education. 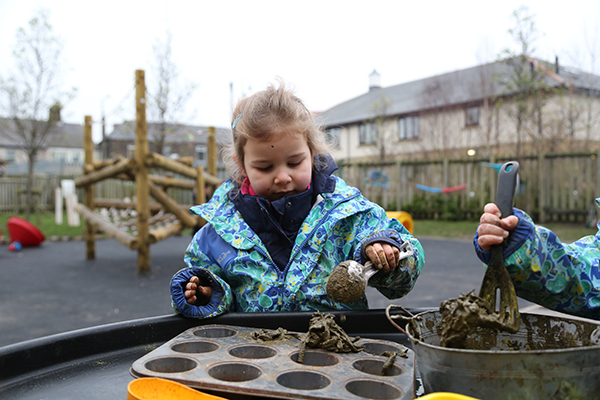 This means European parents are well aware of the developmental significance of play and – even in a 21st century culture – young children have plenty of opportunity to be outdoors, active and playing with their friends. Scottish early years provision is very different. Over recent decades, we’ve cobbled together a nursery sector of highly variable quality (many have no outdoor space), which as a nation we view primarily as a babysitting service for working parents, rather than a community support for children’s development. Then, after a year or so of funded childcare, kids transfer to school, where the emphasis is firmly on literacy and numeracy. Scotland’s early concentration on the three Rs is set to intensify with the introduction this year of national tests for five-year-olds and related (highly aspirational) ‘benchmarks’ for attainment. It’s very likely that, as in England, this tests-and-targets approach will lead to increasing ‘schoolification’ of pre-school care, with nurseries also emphasising literacy and numeracy skills. Since most children don’t fully develop self-regulation skills until the age of about seven, there’s little to gain from this early introduction to formal learning – but in terms of social and emotional development there’s much to lose. Some children exhibit ‘challenging’ behaviour, disrupting their own education and that of their classmates. Most choose to comply, meaning their educational journey becomes the pursuit of ticks, pats on the head and exam results, rather than the joy of learning. So our under-sevens aren’t merely deprived of opportunities to develop resilience through play; we’re also putting them under inappropriate pressure for academic achievement that can actually cause emotional fragility. And that’s what we’re seeing as the years go by. Children and young people who are fragile, stressed, anxious – and, increasingly, ill. There are many reasons why Upstart Scotland is campaigning for a Nordic-style kindergarten stage for three- to seven-year-olds (you can check them out on www.upstart.scot), but our major concern is children’s health and well-being. And that, of course, determines the health and well-being of Scottish society in years to come. I remember my son’s first day at school. Four and a bit years old, leaving the house with a worried look, dressed in his white shirt, striped tie, v-neck sweater and shiny, black leather shoes. A wee bit of me died that day and I worry that a bit of him did too. Looking at Wales and her Foundation Phase for under 7s might be worth your while. Despite all of your instincts, (never mind the science), telling you “this child cannot cope with anymore stress,anxiety,fear, challenging expectations, feelings of failure and humiliation” We as responsible and law abiding adults, have no choice but to go along with the “system”. It is utterly heart breaking to witness, and the feelings of helplessness are overpowering. We are most definately storing up mental health issues for the future and bringing up kids who feel stress at the sight of a book. I so wish the Scottish government would listen to the evidence and begin to implement the advice from Upstart. We as a “progressive” country can do so much better. Education is all about getting young people into passing exams, then being brainwashed into ” bettering ” themselves.How? By joining the consumer conveyor belt and producing more crap then we know what do do with. Heavens forebid we should teach respect for each other and inquisitiveness. Learning should be about how to learn, how to question, how to dream and not just repeat parrot fashion fads. We have moved from one tenement flat where all the children played together in the back green to another where one grumpy shouty person citing Victorian title deeds about ‘only to be used as drying green’ turns back green into an empty wasted space. While I’m not concerned about the title deeds etc. the children feel unwanted and like they are doing something wrong. Such a waste of communal space.